A mid 19th century English Papier-Mache small tray . Marked "Clay, King St. Covent Garden". Henry Clay patented a superior japaning process in 1772. 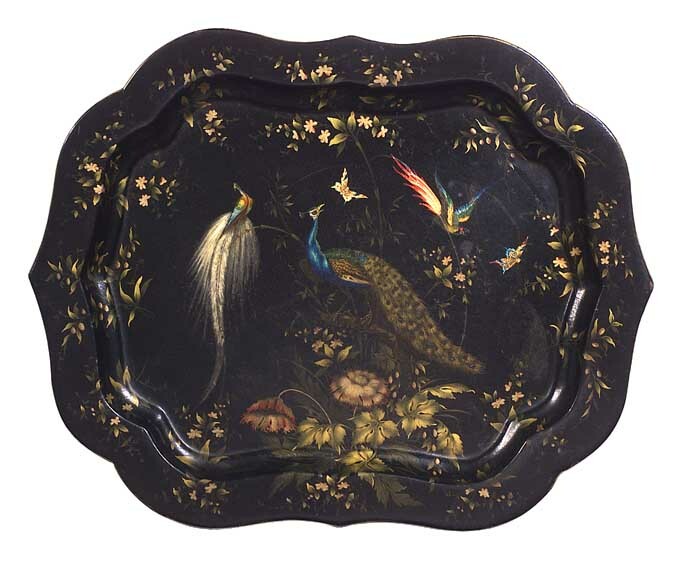 Some of his trays are displayed in a collection at the Victoria Albert Museum in London. This particular tray is in good condition and dates approx. 1830-50. A similar example to this tray is pictured in "The Best of Painted Furniture" by Florence de Damprirre.